What are the basic functional requirements of the Fuel Injection system? We have discussed what is basic functionality difference between the Fuel Injection system and a Carburetor in the previous article. But now its time to discuss the basic requirements of the fuel Injection system. There are certain requirements for the Fuel Injection system to meet for a to give the best performance for the engine. Accurate metering of the fuel per each cycle. The quantity f the fuel should be varied for the different speeds and loads of the engine. The timing of the fuel injection supposed to be accurate for each cycle. so that the fuel economy and the clean burning of the fuel can be achieved. Control over the rate of Injection of fuel to achieve the desired heat release pattern can be achieved. Proper atomization of fuel into very fine droplets is necessary. Uniform distribution of the fuel droplets throughout the combustion chamber. In the case of a multi-cylinder engine, The fuel Injection system supposed to supply the equal amount of the fuel to all the cylinders. 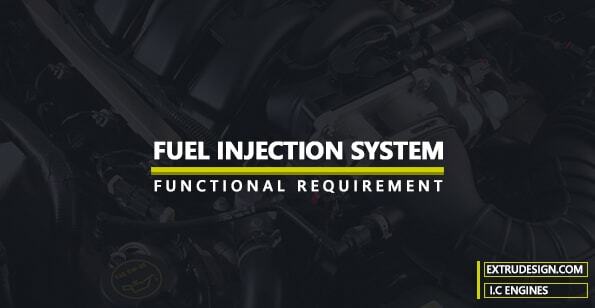 These are the basic functional requirements of the Fuel Injection Systems. Do you think if we have missed anything, please comments them below.